Graphite mesh and white frame. 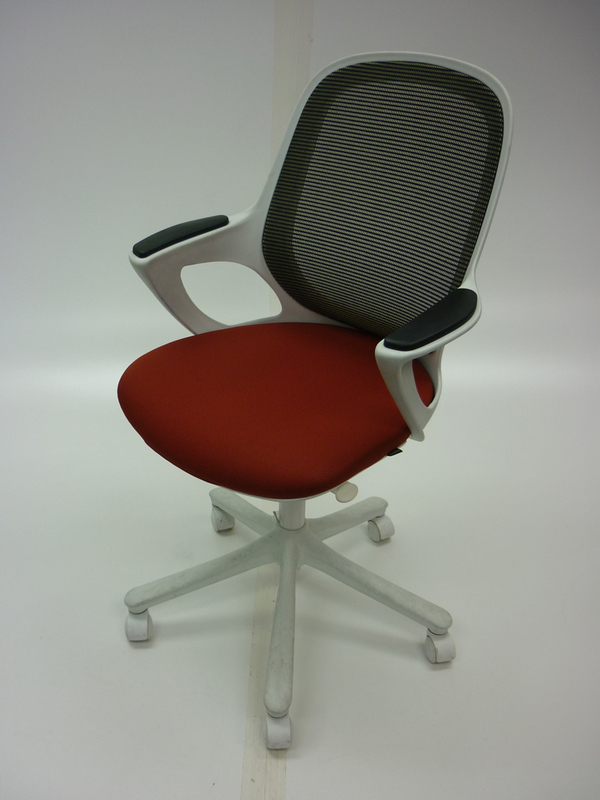 Jamaica Camira Xtreme fabric seat. Tilt mechanism and tension control. White 5 star swivel base.